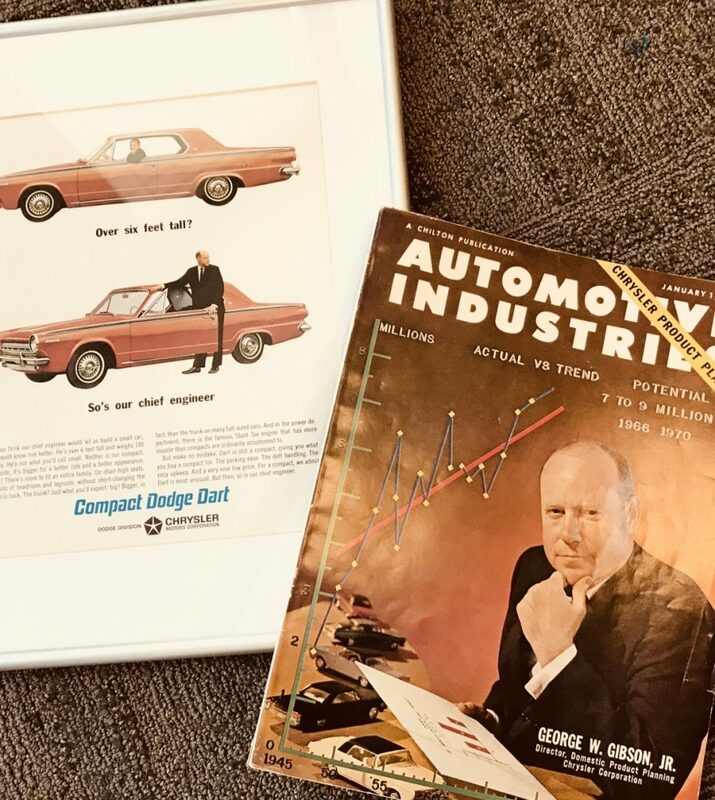 Kerr Russell Fun Fact – the father of Mike Gibson, member, was not only featured on the cover of “Automotive Industries” magazine but in the ad for Chrysler’s Compact Dodge Dart. George W. Gibson, Jr., was the Director, Domestic Product Planning for Chrysler Corporation. As Chrysler’s chief engineer – not to mention over 6 feet tall, 190 pounds – George Gibson was featured in the ad to highlight how roomy the compact sedan really was.